Old Hollywood glamour with a contemporary twist? Yes please! Look no further than this breath-taking necklace. 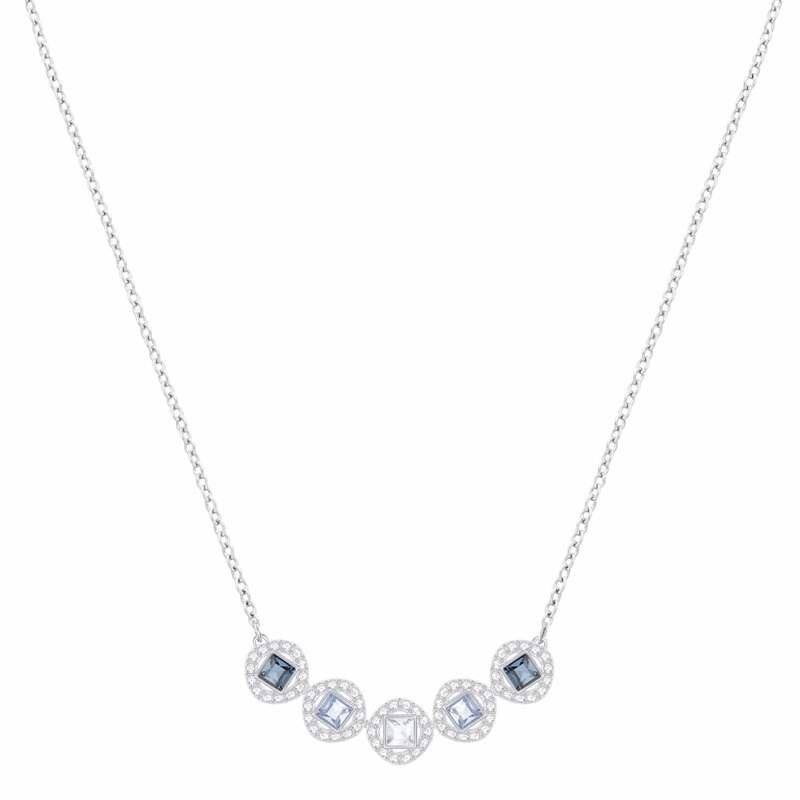 Created in a mixture of blue crystal and rhodium plate, the necklace features a quintuple of discs. Each of these discs is edged in clear crystal pave and features a solitary square cut crystal in the centre. These discs hark back to the opulent glamour of yester-year, yet the design feels modern. It's just as at home on a day running errands as it is at a wedding, and is sure to become a firm favourite in anyone's collection.